Pit bulls - thought to be the most euthanized dogs in America - could serve a noble purpose that saves not just their lives but improves those of humans, too. Rescued pit bulls are working as service dogs, helping Marines and other people with post-traumatic stress disorder, the Associated Press recently reported. 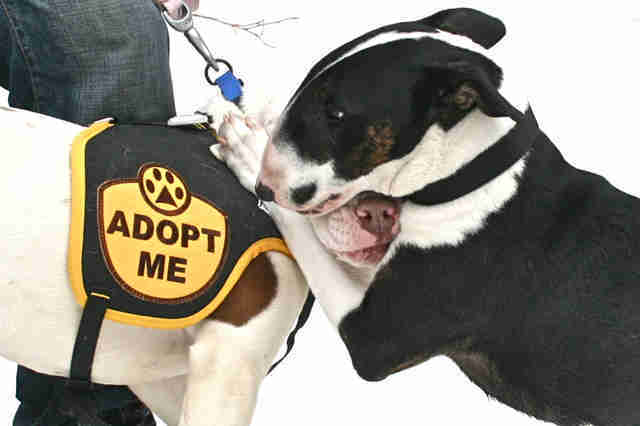 "Certainly, a human and pit bull can make an excellent service dog team," canine expert Christy Hoffman told The Dodo. "How well the individual characteristics of human and dog complement each other should be the driving consideration behind creating a successful service dog pairing, not the breed." Joe Bonfiglio, who was a Marine in Afghanistan, told the AP that his service pit bull, Zen, is "a fantastic dog." Bonfiglio says Zen calms him when he has nightmares or panic attacks. But critics argue they're a dangerous breed who should be banned from that role. Colleen Lynn, founder of the organization Dogsbite.org, told the AP there are hundreds of other breeds "far more suitable" for service dogs. "There is simply no need for pit bulls, rescued or otherwise," she said, "to be utilized as service dogs for people with disabilities." Dogsbite.org did not respond to a request from The Dodo to elaborate what "suitable breeds" those might be, or how it defines a "pit bull." No one deserves to live with dangerous animals, of course. 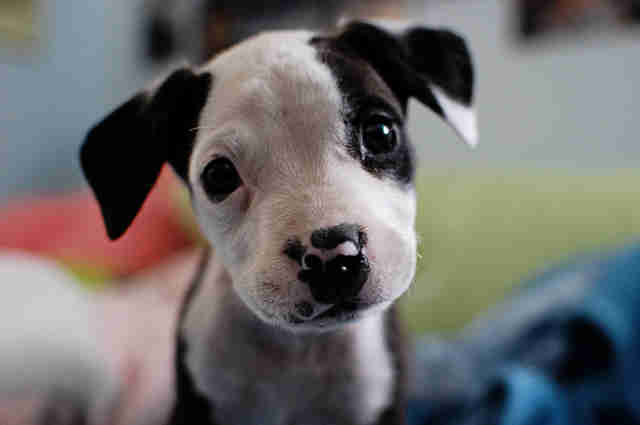 In fact, one of Dogsbite.org's original aims was to hold owners liable for injurious or fatal incidents, as Brent Toellner, president of the animal welfare organization Kansas City Pet Project, noted on his blog. To paint every pit bull as vicious or aggressive, however, is to wield a brush against the advice of institutions as diverse as the American Veterinary Medical Association and the White House. 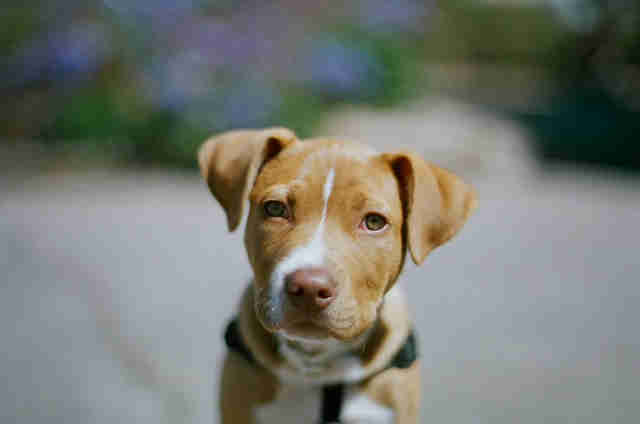 "The website Dogbites.org makes explicit that its agenda is to promote breed-specific legislation and pit bull bans," said Hoffman, a professor at Canisius College in Buffalo, New York. Dogsbite.org has compiled a database of pit bull bites, which Toellner argued it has artificially inflated, deliberately including bulldogs, boxers and mastiff attacks under the "pit bull" label. 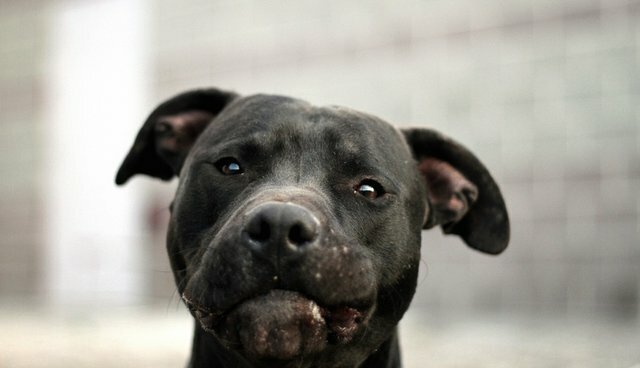 The organization also collects studies examining dog attacks, but Hoffman pointed out Dogsbite.org "does not reference studies that fail to support the assertion that pit bulls are dangerous." Not included on the site is a 2008 study, for example, that says pit bulls are no more aggressive toward humans than the average dog, Hoffman said, or a recent paper that says behavior isn't necessarily linked to breed. An additional study in 2014 indicated that human behavior - not breed - influences dog aggression.